Calibration makes the world of test and measurement go 'round, and with it, every industry that relies on precise metrics. Every result in pharmaceuticals, from discovery through clinical trials, is only as good as the instrument that measures it. "Life science companies live and die by measurements," says William T. Thomas, National Sales Manager for Life Sciences at SIMCO Electronics, Billerica, Mass. Yet most scientists and engineers hardly ever think of calibration. Nor do they notice the guys with the funny suitcases who keep the tools of laboratory and manufacturing measurement accurate, reliable and reproducible--while documenting that they have done so, of course. In the calibration hierarchy, national standards organizations such as the National Institute of Standards and Technology (NIST) are at the top, followed by National Laboratories and large calibration equipment manufacturers such as Fluke and Agilent. Next are most third-party calibration service providers, followed finally by end-user companies. Organizations at each level rely on those "above" them to calibrate their instruments and calibrators. "Our assets are about four times as accurate as end-users'--and NIST's are about four times as accurate as ours," says Keith Hadley, director of business development at calibration service provider Transcat, Rochester, N.Y. Indeed, every large pharmaceutical company has a metrology/calibration department, although such groups sometimes often don't go by that name and may report to quality assurance/quality control, engineering, facilities or instrument maintenance departments. Calibration crews tend to be small, so at larger firms they devote their time to a few specialized calibration services and outsource the remainder. Before hiring a third-party to perform calibration services, pharmaceutical companies should take stock of their in-house calibration capabilities and determine precisely what they need to outsource. This purely economic decision should be based on costs of hiring and training calibration personnel, obtaining appropriate certifications for instruments and workers, and acquiring/maintaining in-house standards. A good first exercise for companies perplexed about acquiring such services is to estimate their costs for calibrating 1,000 balances or pipettes per year, then compare that to the cost of having someone else do it. Most pharmaceutical manufacturers realize that in-house calibration groups are cost centers with significant overhead. "Many companies, when they reach a critical mass, can achieve significant cost savings by outsourcing," says William Thomas of SIMCO. Once a firm decides it needs a calibration service provider, primary considerations include the right mix of services, timeliness, geographic coverage and cost. As bare-minimum requirements, drug makers expect traceability to primary reference standards (NIST), instrument-specific expertise, documented quality assurance and technician training systems and certification to one ore more sets of guidelines such as ISO/IEC Guide 25, ISO/IEC 17025 or ANSI/NCSL Z540-1. Such certifications are required by most industries today, although that was not always the case. John Bluemle of Wisco Calibration Services, Pittsburgh, Pa., tells of a steel maker some years back who required ISO 9001 certification which Wisco, then part of Westinghouse, was just then acquiring. "After we were certified, they sent us all their business. But when Westinghouse sold off its calibration unit we lost our certification, even though we were the same people using the same instrumentation and protocols." When the new entity balked at spending the time and expense of re-certification, the customer re-hired them anyway. "I guess it could have turned out to be a problem had this customer been audited by someone looking for our certifications," says Bluemle. Next, manufacturers need to take a calibration inventory and match specific instrument/measurement needs with the potential service provider's expertise. At this stage, there is something to be said for consolidating services and providers--for example having one company handle all laboratory instruments and another all non-electronic measurement systems. Given the pharmaceutical industry's prevalent merger-mania, a service provider's geographic coverage is important for manufacturers with multiple sites who desire consistency and centralized control over calibration services. If serving an entire organization is desirable, providers must offer similar services at different locations. In this business, consolidation equals efficiency: A single provider, while not necessary, may be ideal. Small- and mid-sized manufacturers might consider the service provider's ability to provide comprehensive services to both R&D and manufacturing, particularly as companies or sites grow. "Many R&D or drug discovery organizations consist of autonomous research groups which are not coordinated to calibrate their instrumentation," notes SIMCO's Thomas. "Each research group has its own vendor relationships, which creates redundancy and cost inefficiencies." "Customers want as much as possible, if not 100 percent, done onsite" says Joseph Uricchio, CEO of Integrated Services Solutions, Schwenksville, Pa., which performs all its calibration work at company locations. "When you box things up, ship them and ship them back, anything can happen. The only services that can't routinely be done onsite are those requiring primary metrology standards." 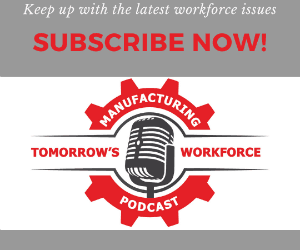 Manufacturers should be on the lookout for providers with the right critical mass of resources, expertise and personnel to service their needs consistently. "Some customers get upset when service providers send a different crew on each job," notes Uricchio. "It takes time to orient new people on safety, workplace rules, who to see at the customer's facility, where to go." Calibration service providers, he says, should be large enough to send sufficient numbers of technicians to a site to get the job done in a reasonable amount of time and with minimal disturbance: "One-man shows no longer cut it." Neither do firms that can't respond in an emergency. "It is not uncommon for a client to call you at seven in the morning and expect someone onsite by eight that same day," says Uriccho. Although metrology and calibration standards are not rapidly changing, a service provider must demonstrate knowledge, expertise and willingness to invest in his or her craft. "If they can't go out and purchase a $10,000 dollar piece of equipment they really need, forget it," he says. John Bluemle of Wisco thinks cost is important, but cautions against making it the dominant determinant: "You meet their specs, but when they hear the price, they go looking for someone cheaper, and sometimes choose them, even if they don't meet specs." Would someone really do that to their business? "It happens all the time," Bleumle states. "They look real hard at the beginning, but in the end all they see is dollars and cents." As an industry that documents everything --in triplicate--it's amazing how many documents get lost. This is especially true for calibration documentation, where technicians are only occasional visitors, and the entire process tends to be forgotten until the next visit. But you can't play dumb when auditors--including regulators, customers and business partners--ask for calibration certificates or documentation that third-party technicians were properly trained, or that service providers have the proper certification. Calibration data is managed through a variety of systems, including card catalog systems, spreadsheets and off-the-shelf calibration record-keeping products. "Most records form vendors are still paper-based," says Blue Mountain's Jim Erickson. However, even companies who prefer paper documents should consider formalizing their calibration documentation with some form of electronic repository and retrieval system. Document portability is something to consider, especially for multi-site organizations that undergo regular audits. One way to achieve portability is through Web-based record-keeping, which helps companies keep track of assets through mergers and acquisitions, when equipment is moved from site to site or when records and measurement devices reside in different buildings at large manufacturing facilities. "When equipment is moved around," says SIMCO's Thomas, "you don't have to worry about the location of "that piece of paper." You can access the information you need at any time, from any terminal connected to the Web. If you're a large company with multiple manufacturing locations, or multiple facilities across the country or across the world, an online repository allows you to manage calibration certificates, instrument history, recall scheduling and asset management from one location and access them from many sites. "And when auditors want to see a certificate or instrument history," Thomas concludes, "they don't care if someone is on vacation, or if no one can locate the key to the file cabinet in a building on the other side of town." At some point, end-users must decide if they need standalone calibration management software or can get by with the calibration module of a larger enterprise package. Politics, rather than functionality, can determine who gets what as various departments haggle over specific modules, who pays, etc. According to Devin Ellis, technical services director at calibration software specialist Cybermetrics of Scottsdale, Ariz., large integrated IT products with engineering, calibration, accounting and other features are more difficult to learn and install. However, they tend to be less expensive on a per-module basis than a standalone product with similar features. A "decent" subset of customers for Cybermetrics' GAGEtrak standalone calibration manager, says Ellis, already have calibration modules installed as part of larger enterprise-wide packages, but eventually they need the added capabilities of a dedicated product. "Although calibration modules don't often meet a customer's needs, those most interested in calibration may not have a strong enough voice within the company to get a dedicated piece of software," Ellis explains. "Even though the module is lacking, management may say "we already have it" when asked to purchase a dedicated solution." What do you really need? Don't be lured by the bells and whistles. Ellis suggests purchasers interview the ultimate users of the system, become familiar with their needs and give them a say in the final evaluation process and decision. "This can save you a lot of money down the road," he adds. What are you willing to spend? Expensive software may meet your requirements and then some, but modestly priced packages can do a great deal and do so very economically. "IT departments love high-dollar, modular enterprise packages because they only have to support one standard and product," says Ellis. "But IT doesn't have to use the product. The most common complaint we hear is that each module tends to be generic and does not entirely meet the needs of each department." How easily is the software deployed, and what is the learning curve? Beware of packages that require extensive training and implementation times. Make sure you can import data from existing systems. Get demos whenever possible: "Would you buy a car without driving it first?" asks Ellis. "Why should your choices in software be any different?" Versatility. Can the package grow with you? Think long-term: Does the vendor supply updates and improvements? "If not," says Ellis, "the product cannot survive in this industry. Many of our customers come to us because their current packages are no longer supported." What kind of tech support do you need, and what does the vendor supply? Can your own IT staff support the package internally, and when problems arise, is adequate vendor support available? A product's platform and technology should be accessible and known enough to be supported in-house. Ellis also recommends calling the support department of potential vendors and see how you are treated. A good test: Do you get through to a human when you call? Vendor credentials. How long has the software vendor been in business? How long have they been supporting this product in your industry? Ask for customer references that have challenges similar to your's--and don't be shy about calling.